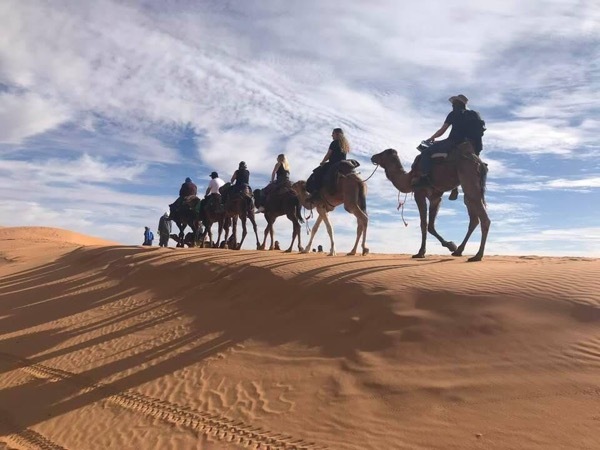 Traveler Review for Private Tour in Marrakech, Morocco by Tour Guide Ahmed H.
About Ahmed H. Message Ahmed H.
extraordinary experience with Ahmed. He is charming, knowledgeable, and responsive. He and Mustafa (the driver) were amazing. They took good care of us, even when the road washed out and we were forced to take a 400 km detour! The tour was everything we dreamed of, and more! Don't hesitate: Ahmed and Mustafa are the ***** team. Their pride in their country, genial personalities, and expertise make this a don't-miss opportunity. They were the best...We arrived as strangers and left as friends.